New research has shown that early treatment can allow dogs with ‘silent heart disease’ to live significantly longer and fitter lives. Several dog breeds (see box) are known to be at risk of developing Dilated Cardiomyopathy (DCM), where the heart muscle gradually weakens and stretches so that the heart cannot pump blood efficiently. Around 10% of these dogs will develop the condition but there can be a long ‘silent’ phase where the heart can cope with no effect on their quality of life. Eventually, however, there comes a point where the heart cannot manage any longer and you will start to see signs of slowing up, breathlessness, coughing, collapse or, in the worst case, a heart attack. If medication is given during this ‘silent’ phase, it can delay the onset of such signs by up to 9 months and extend their overall lifespan. For peace of mind, we would recommend a simple screening blood test to show if his heart is affected. This can be taken at his vaccination visit, and costs £76.33 (10% discount available for Healthy Pets Club members). If this shows any cause for concern, we would advise an ultrasound scan of his heart with Andrew Francis, our Cardiology Specialist. This is done at the Practice and does not involve any sedation. 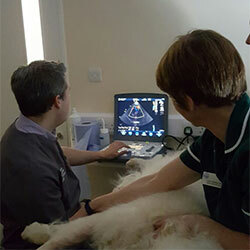 He will discuss with you the results of the scan and any appropriate treatment that could help your dog. The cost of the ultrasound scan is £340.00. 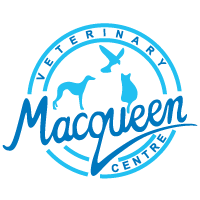 If you are interested in checking your dog for DCM, book an appointment or, if you would like any more information, please call us on 01380 728505.